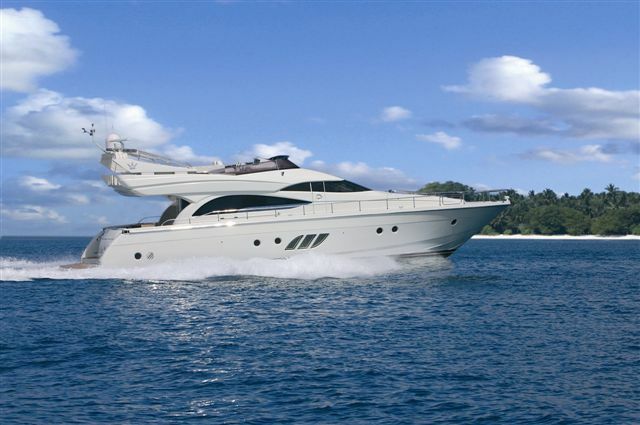 The Dominator luxury motoryacht is 62 feet long and available for yacht charters from Doha in Qatar and the Middle East. 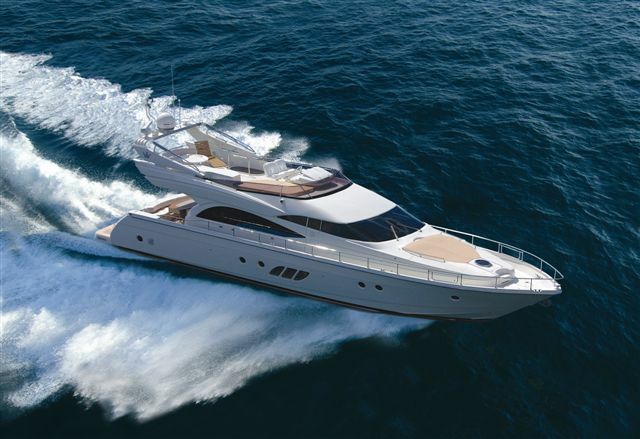 The Dominator 62 charter yacht is a first class production quality yacht with a high degree of customization and superior reliability and cruising comfort. The Dominator is only stylish and luxury but she also performs well. The concept of the first models launched by the shipyard was entrusted to the Nuvolari & Lenard studio and their timeless solutions have made Dominator a byword for elegance and class. The Dominator Engineering Division is responsible for the design of the hulls, the structure and all the various onboard operating systems. 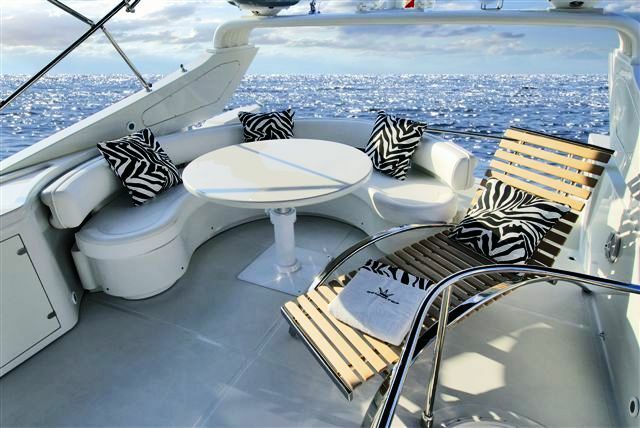 Dominator yachts are solid and robust. Every craft is hand-finished with great attention to detail. 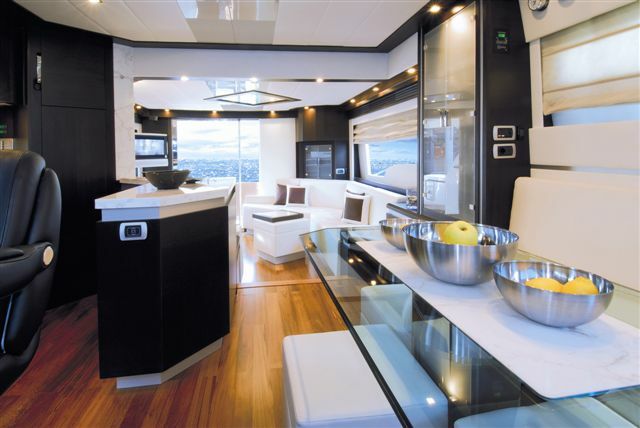 The Dominator 62 is spacious and functional with a superior living spaces. The full beam Master Cabin features atmospheric windows offering spectacular sea views and an ensuite bathroom with a separate Spa Pool shower cubicle. 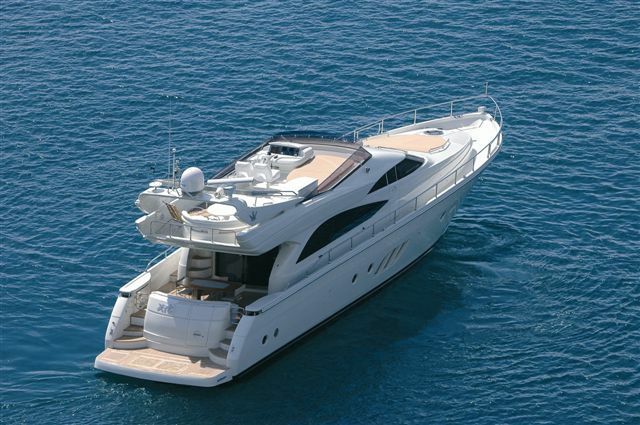 The Dominator 62 charter yacht in Qatar offers accomodation for 6 guests in two spacious doubles and one twin.